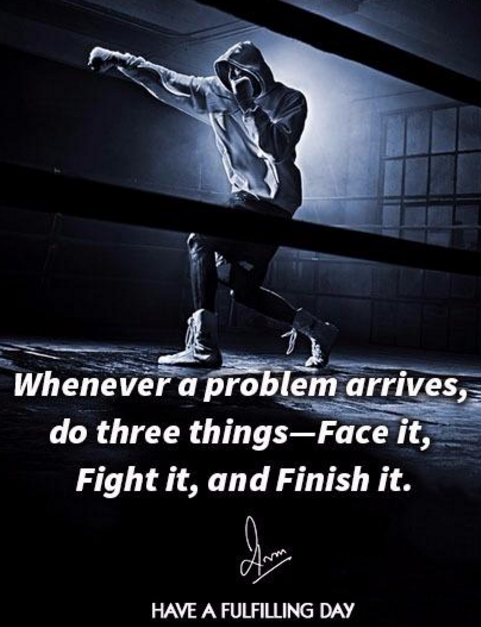 Whenever a problem arrives, do three things- Face it, Fight it, and Finish it. Face your fears. Don't regret on being an fighter. Fight for what you want to achieve, by getting through it. It's you that has to be brave for your own choices that you fear you can handle by chance. Be an hero for your safety and goals, when no one else can. Be bold and not frightened. Whenever a problem arrives, do three thingsFace it, Fight it, and Finish it. If you want to accomplish something, the first person you have to overcome is yourself. Life rewards the motivated, enterprising and courageous. 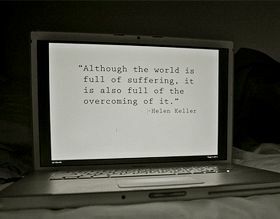 Those who conquer difficulties and obstacles shall rise in life. You have to go through a struggle to appreciate success. As hard as the situation may seem, difficult as you may realize, never stop believing in yourself for you were born to succeed. It might get a little harder before it gets easier. But it will get better, you just gotta make it through the hard stuff first.